Jordan Brand will be expanding their Air Jordan Wings lineup with the Air Jordan 5. Their Wings Collection employs the power of education to help the youth unlock greatness. 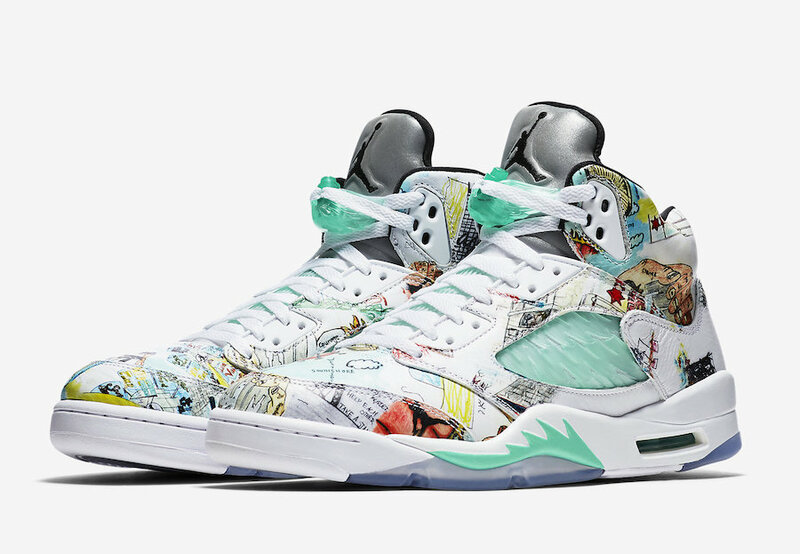 This “Wings” Air Jordan 5 features a White leather upper highlighted with an all-over graphic design as a nod to Chicago and its neighborhoods. Other details includes a lacelock that’s shaped as Wings, a Red Jumpman on the heel, Wings label on the inside of the tongue and an icy translucent sole. Look for the Air Jordan 5 “Wings” to release on September 29th at select Jordan Brand retailers and StockX. The retail price tag is set at $200 USD. UPDATE: Nike releases official photos of the “Wings” Air Jordan 5. It’s inspired by designs and illustrations from students at Little Black Pearl, a nonprofit cultural arts center serving Chicago’s youth. UPDATE: New photos of the “Wings” Air Jordan 5 vis GC911 that will release on September 29th. UPDATE: Detailed look at the “Wings” Air Jordan 5 that’s expected to be extremely limited. Photos via us11hustla. UPDATE: Each “Wings” Air Jordan 5 will come with different graphics on each shoe, Wings lace locks, three set of laces and more. Check out the new photos below. 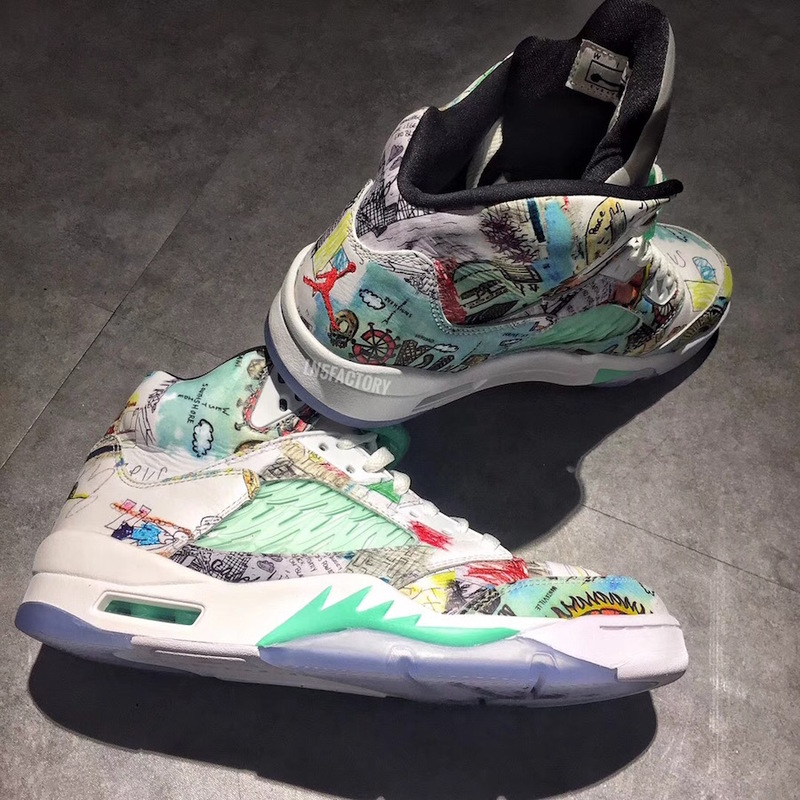 UPDATE: Detailed photos of the Wings Air Jordan 5 that glows in the dark. Additional on-feet photos below via LN5Factory.